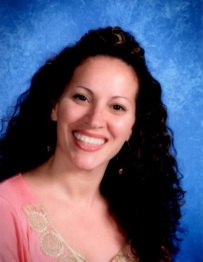 I am thrilled to teach reading at West Gate K-8 this school year. Reading courses are designed to extend students’ ability to write, read, speak, and think clearly. The curriculum has been set up to increase student achievement and learn specific reading strategies. Students will investigate major genres and themes in literature, new skills that can be used across the curriculum, and read for deeper meaning. The courses enrich a study of vocabulary, critical thinking, and the art of self-expression. This is a student-centered learning environment with the teacher as the facilitator. Reading is fun. Reading takes you to different places. Reading transforms the reader. Reading is applicable. Click here for my Grading and Homework policy. ¨ Cooperative learning, class discussion, and direct instruction. ¨ Oral presentations, skits and dialogues. ¨ Projects, library research, and the use of computers. ¨ Successful completion of class work and homework. 2. Respect one another’s property and self. 4. Bring your notebook and appropriate supplies to class daily. 5. 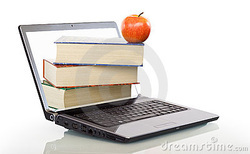 Have on your desk only the materials pertaining to reading class. presentation (see the expectations attachment above). 1st offense: a warning is given. email home will be made. 3rd offense: a referral sent to the appropriate dean. and is reinforced on a daily basis; it outlines my expectations for behavior and learning. Students, please do not hesitate to ask for help! I am available before, during, and after school (most days). Should you need assistance, please let me know and we will schedule an appointment to meet. Grades, projects and other information are posted on Skyward and updated on a regular basis. Parents, please make sure you check your child’s Skyward account frequently. If you need help logging into your child's Skyward account, please contact the school as soon as possible and someone will be able to assist you. Disclaimer: This website is created and maintained by Jacqueline Rosario, who is solely responsible for its content. The School Board of St. Lucie County, Florida, West Gate K-8 School, and representatives for the School Board and the School (i) have not reviewed or approved the content of this site,and (ii) do not sponsor or endorse the content of or any view expressed on this site.